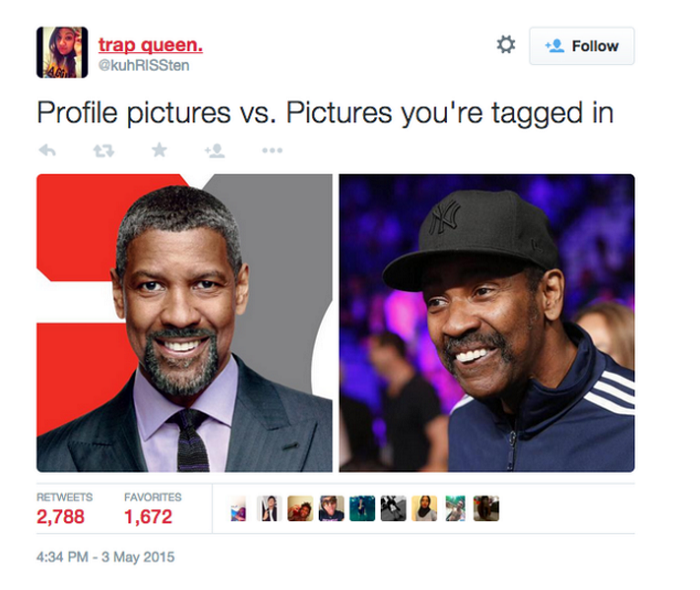 When Denzel Washington showed up at the Mayweather-Pacquiao fight last year wearing a tracksuit looking like that one uncle with the Bluetooth that can't wait to get the electric slide poppin' at all the family functions, the interwebs went in. Instantly, our beloved leading man was transformed into a meme legend and the punchlines just kept coming. Now that Twitter had a field day and his meme infamy has finally died down, Denzel Washington responded to the phenomena that was "Uncle Denzel" in an interview with Global Grind. "Those who can, do. Those who can't talk about those who can," he said. Check out his entire response. And there you have it, kids. Are you a talker or a doer? 'Denzel is not here for the online shenanigans.